This past fall—2015-- an American couple became engaged. It was after this that their desktop calculator began to act strangely. Was this calculator celebrating their engagement? One article written in England seems to thinks so. Soon after Fran Lussier proposed to his girlfriend she was at home alone one afternoon when she noticed something strange. 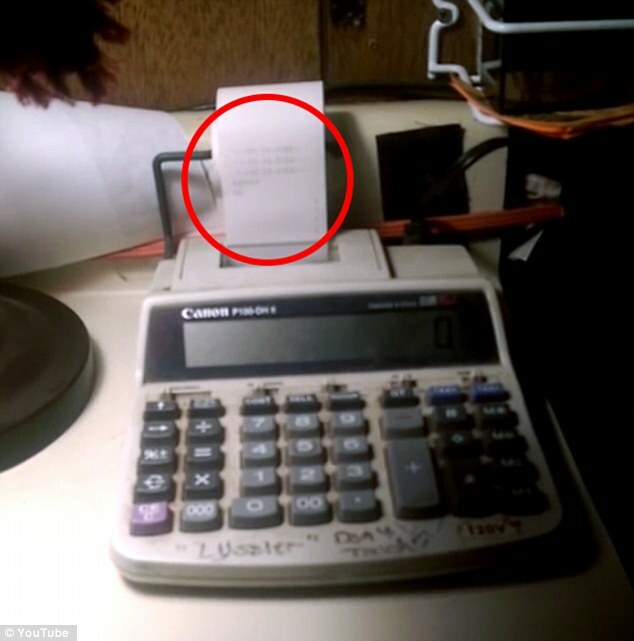 Their desktop calculator turned on without assistance and printed out a “diamond symbol” on its tape. Lussier’s fiancé was surprised to say the least. She told Fran what she had seen and the evidence was clear for there was the tape rolled off the machine with the diamond on it. The couple then sat down and tried to replicate this diamond by using the calculator’s keypad but they couldn’t. The couple flabbergasted could not come up with a reasonable explanation what was happening. Was this machine haunted? In the following days the calculator printed out 5 more diamond symbols on its own. After this, the couple where getting ready to go out when Lussier’s fiancé sat down at the desk were the calculator is placed to put on her shoes. The machine began to print. The fiancé asked the machine to print one more diamond, which it did without hesitation. This time, Lussier pulled out his phone to record the activity. As seen in the video below the couple proceeds to talk to and coax the calculator. 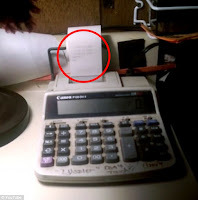 At first the calculator does not respond, the couple then asks if it will print once more if they turn the camera off. The fiancé tells it they have turned the camera off. But Lussier continues to record—at which point the calculator begins to print. The couple jumps backs and screams and then they laugh. The printer produced another diamond. This proves the old adage: Be careful what you ask for, you might just get it. So did this actually happen? Here is the video that Fran Lussier recorded on his phone.